December 16th, 2018 Anderson, SC. 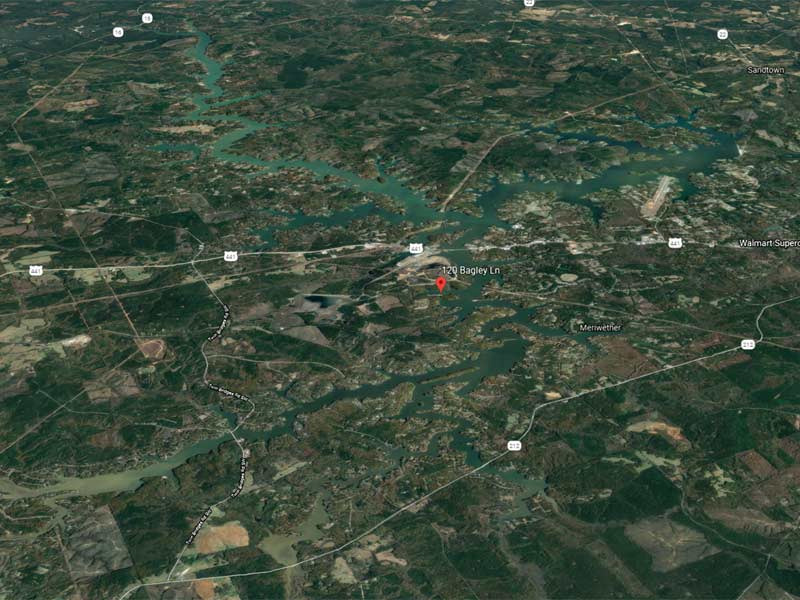 Twenty-four anglers launched from the Green Pond Landing near Anderson, SC. The temps started out at 43 degrees and warmed up into the low 60’s by the 3 pm weigh in time. Water temps were in the mid 50’s due to several cold rains before the tournament. Twelve of the twenty-four anglers caught a five-fish limit, but when the scales closed it was Wesley Sandifer of Chapin, SC who took the victory with 12.72lbs. For the win, Wesley took home $600 in prize money. Wesley reported catching his fish on a jig. 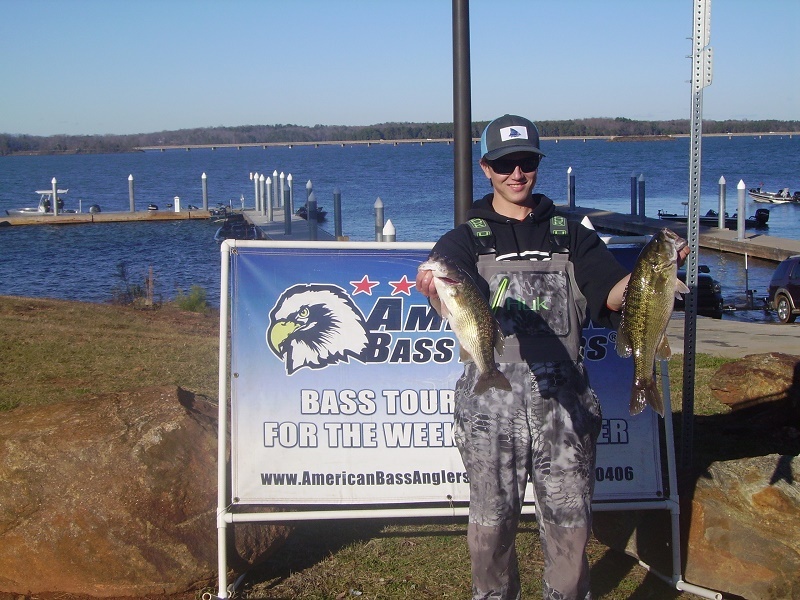 Second amongst the competitors was Zach Green of Elberton, GA with five-fish that locked in the scales at 11.26lbs. Zach reported catching his fish on a shaky head rig. For his efforts, he took home $360 plus $114 for 1st Place Option Pot for a total of $474 in prize money. Third place was claimed by Jason Turner of Anderson, SC with five-fish and a total weight of 10.92lbs. Jason credited a jig for his limit. For his efforts, he took home $123 plus $76 for second place in the Option Pot for earnings of $199. Fourth place was Roy Stuart of Anderson, SC with a limit weighing in at 10.82lbs. Roy took home $94 for his efforts. The Biggest Bass of the tournament was caught by Grover Jones of Starr, SC. His fish locked in the scales at 4.09lbs earning him $110 in prize money. The next tournament in this division will take place on February 10th, 2019 launching from the Hwy 72 ramp on Lake Russell. 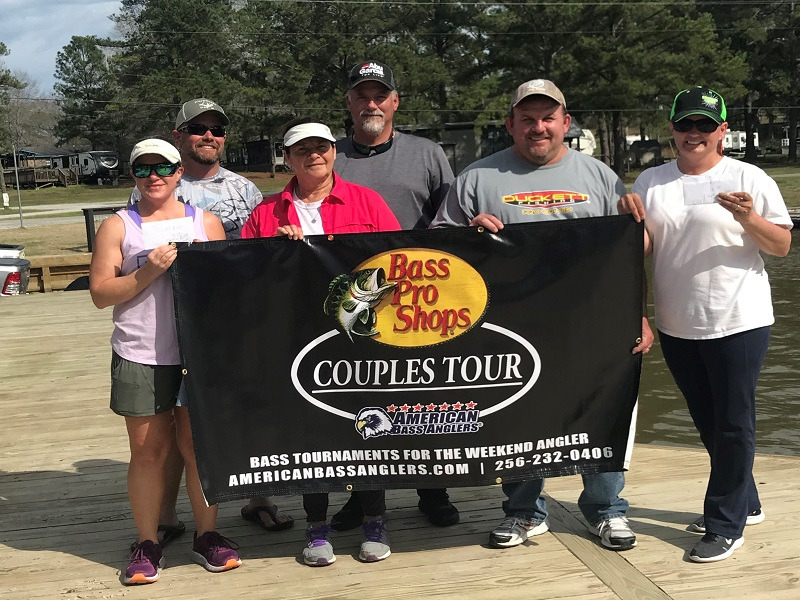 American Bass Anglers, Inc. is supported by Bass Pro Shops, Triton Boats, Nitro, Tracker, Mercury Outboards, Hydrowave, T-H Marine, Abu Garcia, Berkley, Garmin, Maui Jim, Power Pole, SiriusXM, Four Roses Bourbon, Engel Coolers, and GEICO. American Bass Anglers, Inc. can be contacted at (256) 232-0406 or visit AmericanBassAnglers.com.